The “Train The Trainer” program is for people wishing to learn how to work effectively in this very special modality. It is a three-day training to not only show you what I do, how and why. It is also designed to align your program with your personality, skills and strengths. 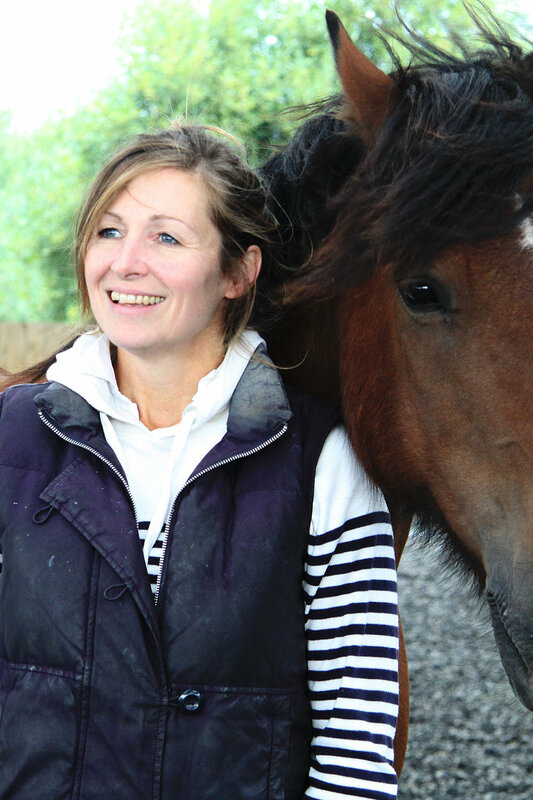 If you want to learn and understand specialised knowledge in the field of horse assisted education, equine guided education, equine assisted learning and all other forms of horse assisted learning, this is the advanced programme for you. In the design we have incorporated accelerated learning techniques from NLP, Group Mastery, and many schools of Coaching. We feel this guarantees you learn efficiently and ensures a very special experience. If all this appeals to you, please join us for what will be a great experience, guaranteed. Contact us and book your place now. The T.T.T. is aimed at people wishing to move into our business. 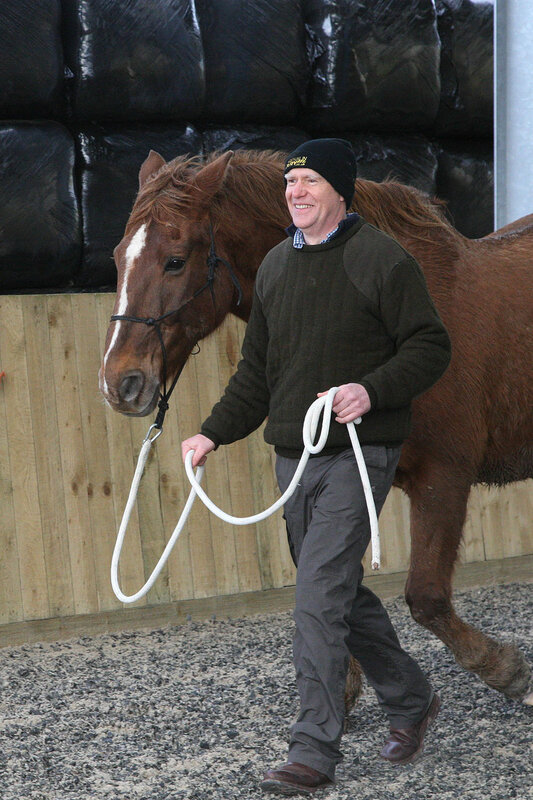 You need no previous experience of training or Equine Guided Learning, just a desire to do the work. The programme cost is £1,250 +VAT and includes all workbooks, Lunch, DVD and refreshments. Standard terms are 50% to book place with remaining 50% to be paid 1 week prior to programme. We can also provide easy payment plans. Contact us for detail. To book your place CLICK HERE and send us an email. This is a business approach. We are provide leadership development programmes and team building for organisations looking to maximise their most valuable resource; their people. We are working with industry experts Ken Wilbur’s “Integral Mode” as a background theory. Thus, it would be helpful for you to be familiar with books like "The Integral Vision" (Ken Wilber) or "Conscious Business" (Fred Kofman). Please send us an email if you would like to get further information. Our goal is for you to learn about our special leadership development approach and to enable you to experience similar success. After you have attended the workshop only then you are allowed to use the phrase “Licensed HorseDream Partner” on your website, in your brochures, and on your business papers. “Picadero Exercises” are about working with clients in the “Small School”. This work is based around establishing Trust and Respect at a profound level. “Leadership Exercises” is about engaging with clients in various hands-on exercises. Leading a horse is an engaging and profound process. We will learn how to trust the horse’s responses and how to “trust the process” of learning with horse. "Reaching Goals, Overcoming Obstacles” is about individuals , groups, or teams and their relationship with specific goals and the obstacles that stand in their way. Reaching a goal is a process, overcoming obstacles is a process both have a structure that is useful to understand. We will learn how to trust the horse’s responses to our goals and to our obstacles and how to “trust the process” of learning. A Goal is one thing, a personal vision is another, and a shared vision is a third. In this workshop we will also work on our personal and our shared vision. “Integral HorseMapping” is about working with single clients, groups, and teams in personal, structural, and organizational constellations. We will learn how to use the help of horses in a constellation process and we’ll make the first steps toward the integral approach of Ken Wilber, Fred Kofman, Don Beck, Peter Senge and others. Besides working with the horses you will learn more about HorseDream principles, our philosophy and our theoretical background. To be a Licensed HorseDream Partner you need to share the main parts of our approach, in your own way. This approach is a integrated learning system. We understand that every body has skills and capabilities and they are all different; sometimes we are effective and ineffective. There is extraordinary learning innot achieving the desired outcome; we often learn more from a "failure or problem" so in our approach we value the whole experience for its huge learning potential. Karin and Gerhard Krebs are establishing an international “Licensed HorseDream Partner Community” in which we all are working together. We encourage cooperation and collaboration. As a licensed HorseDream Partner you have access to all information about concepts, training schedules, prices, customers, experiences or whatever is published on the HorseDream Partners website. In return every licensed HorseDream Partner can and should publish his/her own material on this website to make it a real compendium for the whole group. 9th-12th August 2016 - Places strictly limited to 4 people. The "Pegasus" program is bi-annual, advanced development program of facilitators. The goal is to provide both substantive and business support during interactive online meetings to enable facilitators to grow and develop their business.. The "Pegasus" program is bi-annual, advanced development program of facilitators. The goal is to provide both substantive and business support during interactive online meetings to enable facilitators to grow and develop their business. We would like to create a committed and proactive group. First of all we invite those who want to act and build their business as a facilitator of development programs with horses and continue to learn. Graduates of Horse Assisted Education Professional education. Facilitators who already run their business and would like to develop more, be more successful or re-design their business. Facilitator, leader at HorseSense (Poland based leading organization in the field of Horse Assisted Education), professional coach and HorseDream Partner , she is pioneer in this field of Horse Assisted Education in Poland and in Europe (since 2006). She integrates in her work different approaches to people development (humanistic psychology, non-voilent communication, process-oriented psychology). Horses are main partner in her work. She works with organizations (run HAE workshop for more then 300 companies), individual clients (longterm programme Leadership Academy, longterm programme The way of the women), facilitators (Train the trainer, School of facilitation, HorseDream Licence) and online (self-awareness courses for people and their horses). She has profound leadership experience - 10 years as consultant and manager in PwC both in Poland and Germany working for hundrunds of companies to increase their potencial. She is Director of the European Association for Horse Assisted Education (EAHAE) and organized two EAHAE conferences in Poland 2008 ("Widden-the-horizons") and 2013 ("Leadership-with-the-heart"). She is the co-author of book “Manager learning from horses” published in 2013 and author of a book "Horse as trainer. About horse assisted education and lessons from the horse as trainer" published 2016 in Poland and soon avaible in English. Every month Masterminds * lasting approx. 1.5 hours. Some of the meetings will have a theme, the rest will be based on your questions, challenges and discussing your trainings. Masterminds will be recorded, so if someone does not take part, it will be easy to access the information and set goals for the next month. * Mastermind is a small group of people meeting regularly to provide mutual help, give advice, motivate and present their talents to the other members of the group, supporting them to develop their business easily and quickly. From the facilitator's practice - one of the program participants presents their profound business experience, on which he learned a lot. "Hot seat" so-called hot saddle - depending on the time available - 2-4 people discuss their questions, challenges and share something. Participants can apply to the "hot saddle" earlier in the group on FB. With a large group , we rotate people so that every 2 months everyone will be on a "hot seater". The topics are chosen specifically to contribute as much as possible to the group. After listening to the challenge, the problems and the questions - the group share ideas, knowledge and perspective. Planning the next steps to be taken by each participant. The platform we will use for Mastermind is Zoom - it is intuitive and enables excellent online meetings. We propose the actions for you, but the final decision what you choose is depending where you are at the moment. The program is long-term commitment, participation in it should be a minimum of 6 months. Mastermind online meetings are on Mondays 20.00 CET. Meetings are recorded, so you can catch up if you are unable to attend. You must attend at least 4 meetings live. 28th May, 25th June, 23rd July, 13th August, 17th September, 8th October. Price Euro 70 per month +VAT in first edition (110 Euro per month + VAT). We require a commitment of participation for 6 months. Please apply till 20th Mai 2018! After we confirm your participation we send you PayPal to start the payments.